Mother's day is May 14 which is just around the corner. Not sure what to get your mom for mother's day? 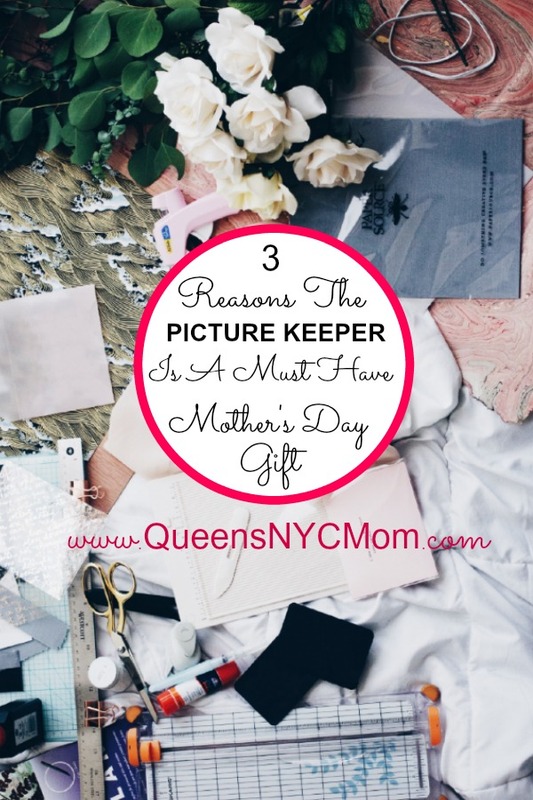 Well, I have three reasons why you should get her Picture Keeper as a Mother’s Day gift. 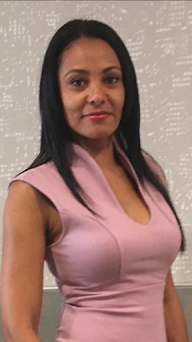 I am a mom on the go. I use my smartphone for everything. To jotting my appointments and my kid's activities. I also have my phone contacts and countless pictures. If you were to search my phone you will see 300+ pictures of my kids. In NYC there are many beautiful things to see and capture all the time. My first must have reason the Picture Keeper is a gift for mom is the backup storage. How many times have you run out of space on your smartphone? Well with Picture Keeper that is a thing of the past. 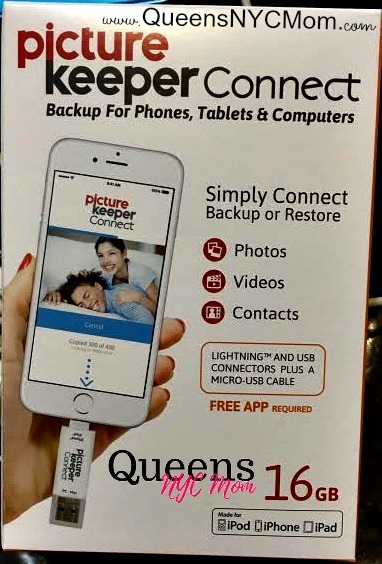 The Picture Keeper Connect USB is available in 16 GB, 32 GB, and 64 GB. It is available in the Picture Keeper in 4 GB, 8 GB, 16 GB and 32 GB. With the Picture Keeper Pro, the USB is available in 32 GB, 64 GB, and 500 GB. An affordable price starting at $29.99 and with different Giga Bytes (GB) for your storage needs. As you can never have enough storage. Plus besides photos, it also stores videos and contacts. Compatible with iOS, Android™, Windows®, and Mac®. My second reason Picture Keeper is a gift your mom must have is its small size. This little gem fits anywhere. It is lightweight and compact that you will not even know you are carrying it. Slip it into your suit pocket, purse or in your wallet. Picture Keeper works anywhere as it does not need internet connectivity because the files are not stored online. You are not using up your data plan, a plus in my book. My last reason is simply the ease of mind knowing all my memories are stored safely and contacts. You do not have to worry if you lose power on your laptop or your computer breaks and cannot be retrieved. Who hasn’t run out of space on their cloud account? All of your information can be stored and available anytime. I received the 16 GB and it retails for $119.99. I love the technology as it will backup only the new pictures, contacts, and videos. It will not duplicate what has already been stored. Plus you have the Picture Keeper app that you can download onto your phone. Visit Picture Keeper for more product information and to make a purchase. Give your mom the gift she will truly treasure. #JustGoShoot with picture keeper and never worry about phone memory again. This is such a cute idea! I know my kids would enjoy giving this to me. I didn't know this was a THING! This is exactly what my mom needs. She has an endless amount of photos on her phone. This is brilliant and I wish I knew about it sooner! Definitely going onto my "get everyone" list! I need this. 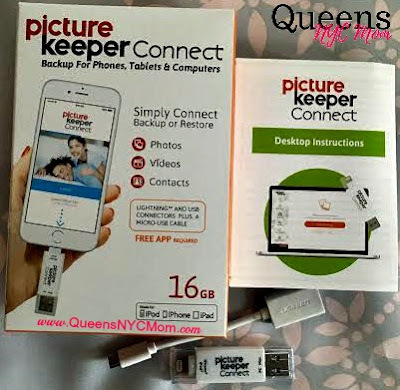 I have read reviews of the Picture Keeper and I liked what I learned about the product. I am going to get this as a gift for myself this Mother's day. What a great app! This would be a wonderful present for anyone, and I'm going to get it for me as well. This is such a cool present for moms! I would love to have one! I am always having to make more room on my phone or deleting pictures. I really need this. especially now that my phone storage is not what it used to be and my mac is out of storage. UGH!